Nigerian Immigration Service announced on Saturday in Kano that the service had concluded plans to extend the validity of Nigerian passport to ten years. The Comptroller-General of the NIS, Muhammad Babandede, made the disclosure on Saturday at the graduation of 652 cadet officers of the 43rd Superintendent Basic Course held at the Immigration Training School, Kano. Babandede, who hinted that the service do not recognize presentation of high profile notes or calls for special posting of officers, cautioned the new cadets to accept their new posting in good faith. He noted that the graduands were the first set to be trained on the NIS new curriculum, designed for all the training institutions of the service. The NIS boss to the graduands, “With the rigorous training you received in the last six months and the oath you took yesterday; you are today certified fit to fully join the NIS team, as immigration officers in line with the Immigration Act. “NIS is a professional service and a paramilitary institution. In view of the above, we expect no less than 100 per cent loyalty to the rule of law and Federal Republic of Nigeria”. The Minister of Interior, Gen. Abdulrahman Dambazau, who was represented by Commissioner, NIS Management Board, Ado Ja’faru, restated Federal Government’s commitment to strengthen national security. He urged those graduating to guided by the training they received and the agency’s rules of engagement in their conduct. 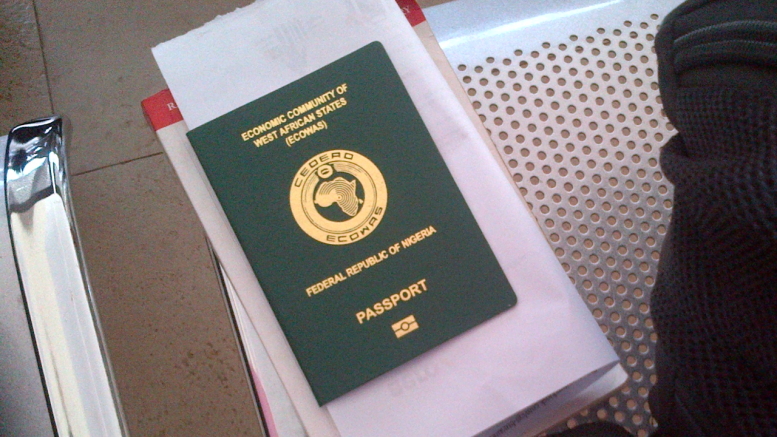 Be the first to comment on "NIS to Extend Nigerian Passport Validity to 10 Years"